Steel yourselves, and begin to defend your mind from the language used against you by the sophists of the world. They are many, we are few, but with the Logical Defense app, we now have an extra tool in our box of rationality. 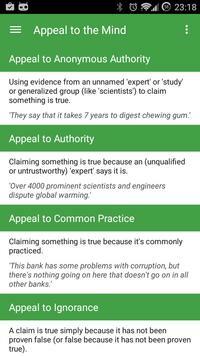 Use this app to quickly look-up the logical fallacies we face when debating against the irrational. Call out those who are logically flawed and help to build a more rational society. Honesty is the first virtue, so let's be painfully honest towards those who attempt to use language as a form of mental abuse. Never accept a logical fallacy, attack the attacker, and spread logic and reason to those you love. Ok, enough rambling. 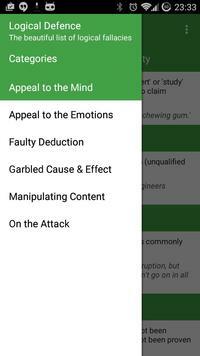 This is an app that displays a list of the logical fallacies that haunt every rationalists' mind. - Left drawer that houses categories. - Share function -> Long press a fallacy to share it. Feel free to leave your comments/suggestions. 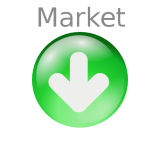 Thank you for downloading!